Hi everyone, I bet you weren't expecting a post from me today. 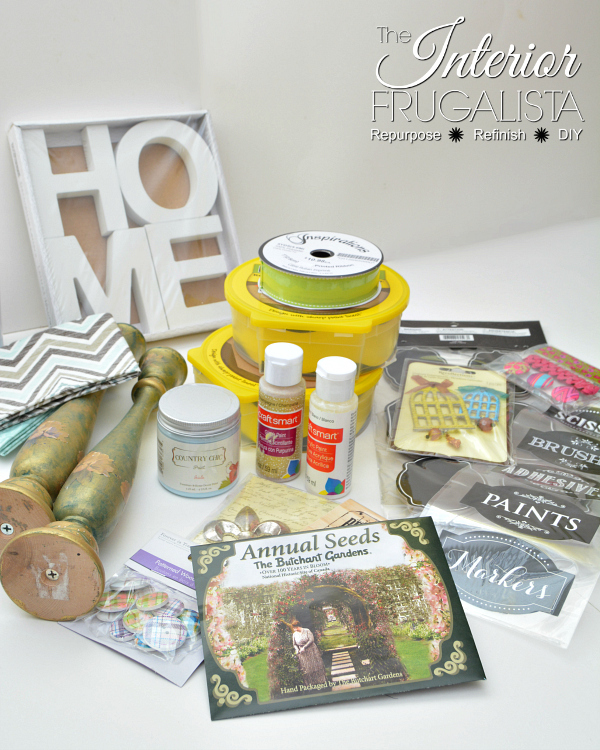 If you're a crafter like myself, then you'll love today's post. Why? 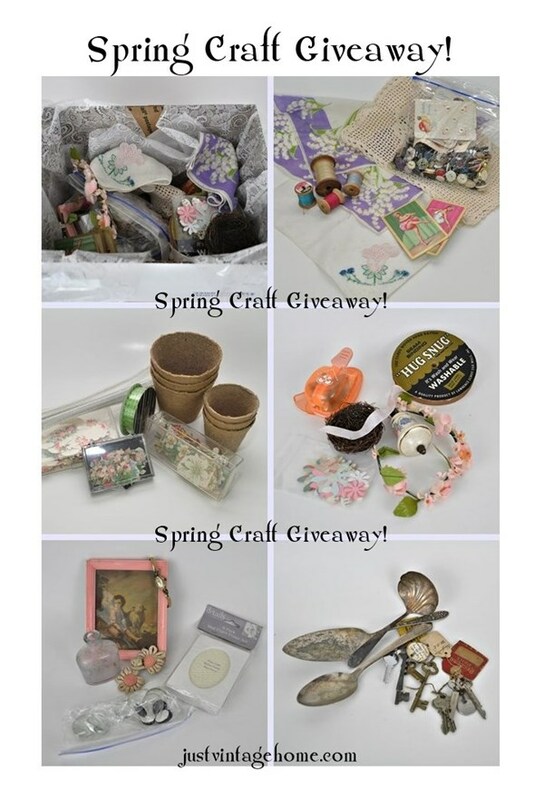 Because Kathy, The Queen of Junk Treasures, from Petticoat Junktion invited four blogging friends to join her in a Craft Junk Goodie Box Giveaway Tour. 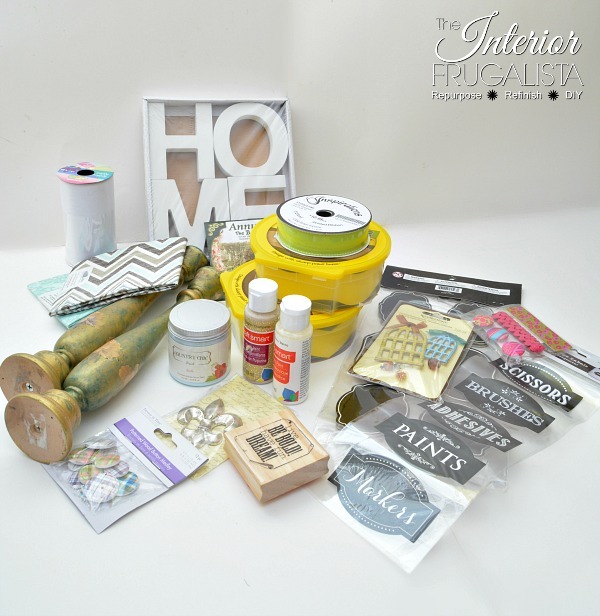 Five bloggers have each put together a Goodie Box filled with crafting and junking supplies from our stashes and we're giving them away to five lucky winners! 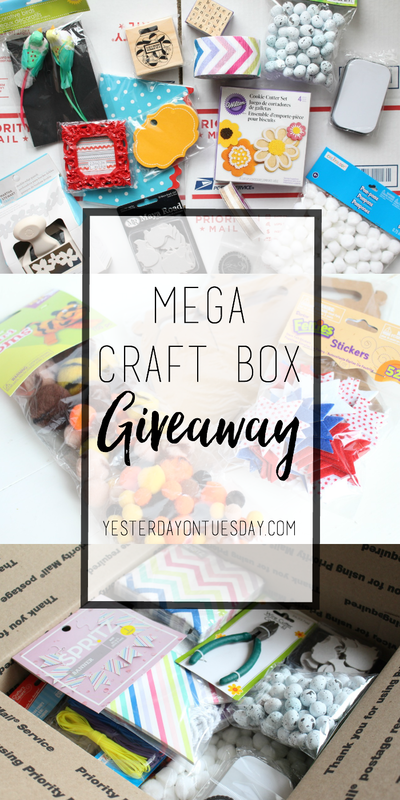 The links to each Giveaway Box are at the end of this post. If you don't know, I am a Canadian blogger. 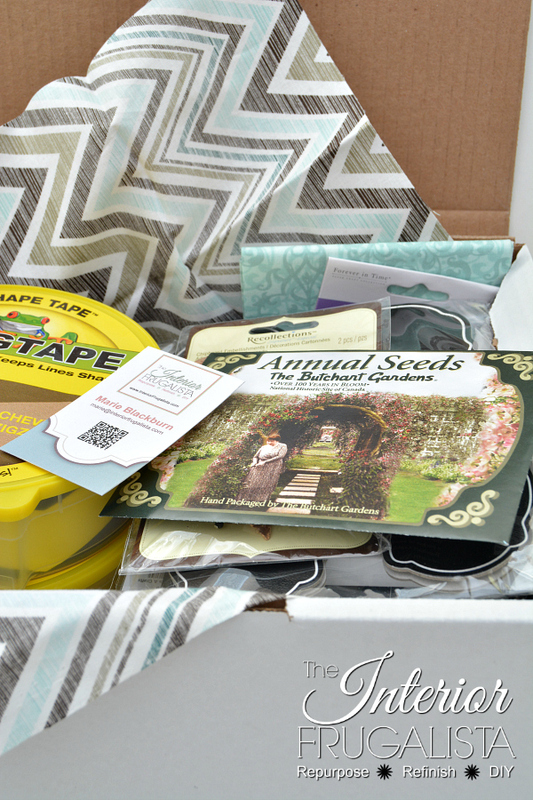 Oftentimes blogging giveaways are open to US residents only. We decided on this leg of the tour to provide one goodie box open to Canadian residents and that box would be mine. I've since thrown in a few BONUS items not pictured above. You'll have to be the winner to see those surprises. Being a Canadian girl I couldn't help but include a packet of annual flower seeds that I picked up last summer while touring the famous Butchart Gardens in Victoria, British Columbia, Canada. 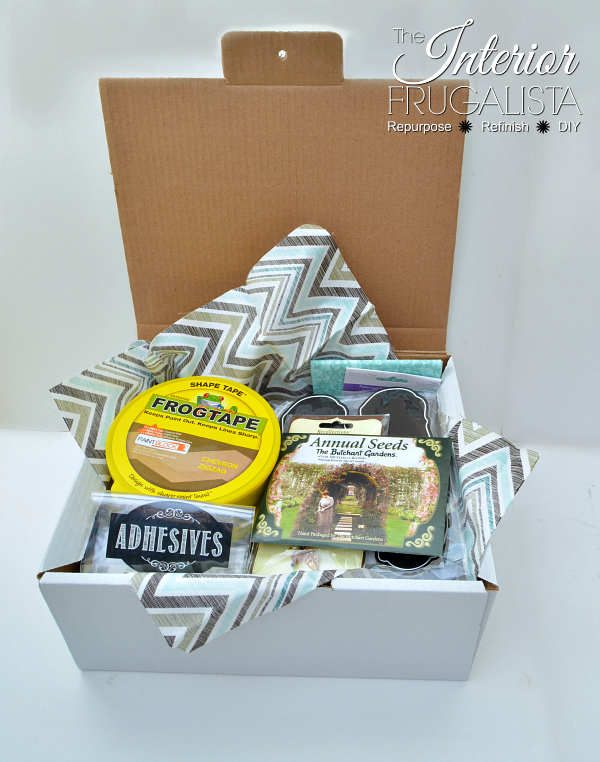 The Craft Supply Goodie Box is all packed and ready to be mailed somewhere in Canada. All it needs is for the shipping label to be filled out with the winner's name and address. 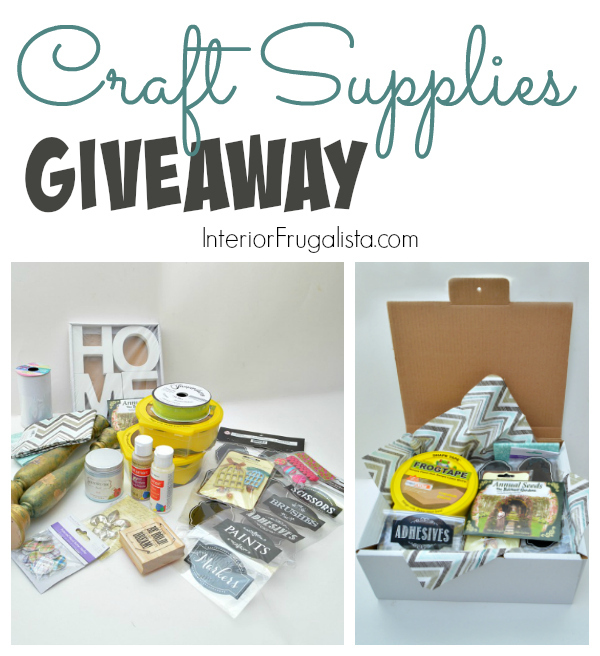 There will be 1 Canadian Winner chosen for my Craft Goodie Box. You can enter the giveaway once a day until the giveaway ends. The only requirement to enter is that you answer the question in the Rafflecopter below and then click the ENTER button - it's that easy! Giveaway closes February 19, 2017 at 12:00 a.m. MST. Goodie Box is open to Canadian residents ONLY 18 years and older. Winner will be chosen at random by the Rafflecopter and contacted by me via email. Winner has 48 hours to reply to the email or they will be disqualified and another winner selected. 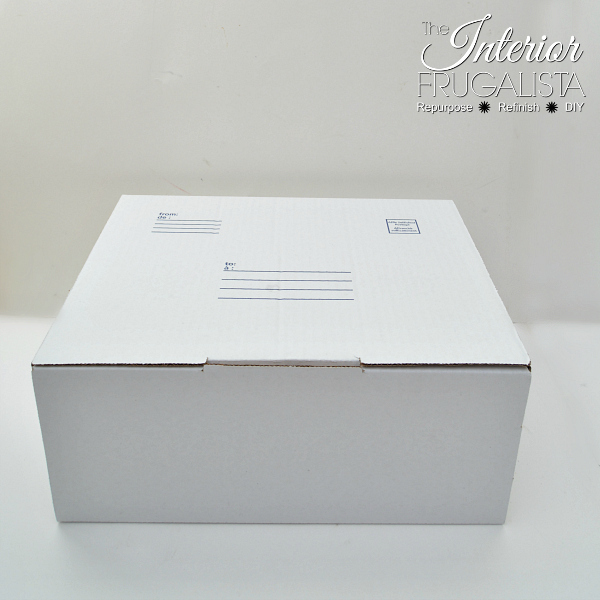 Shipping costs will be paid by The Interior Frugalista. 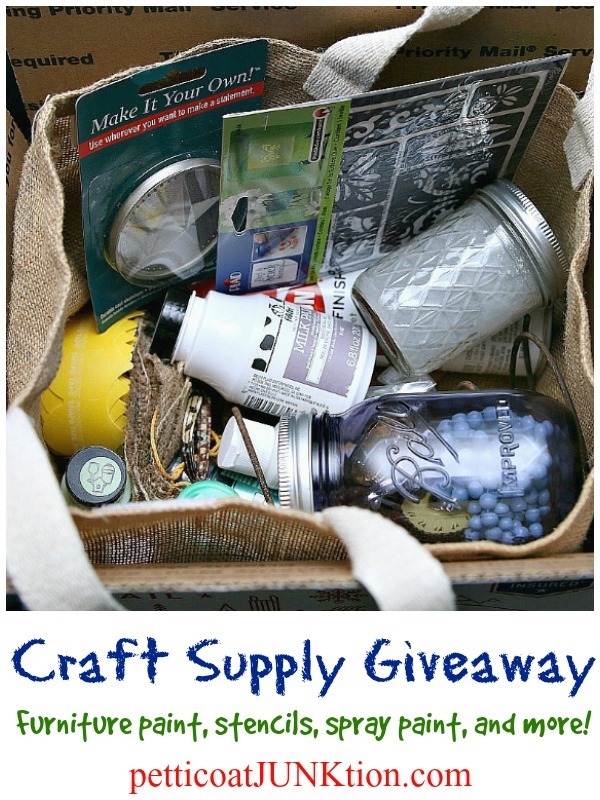 Now that you've entered, click on the links above each photo below to be taken to the Craft Junk Goodie Boxes my blogging friends have put together to giveaway. 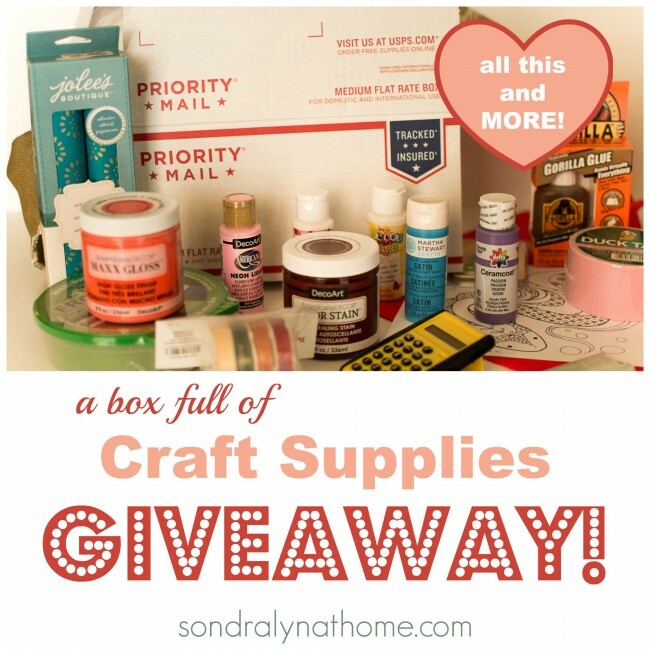 We'd love it if you told your fellow crafting friends about this awesome giveaway.